Who? 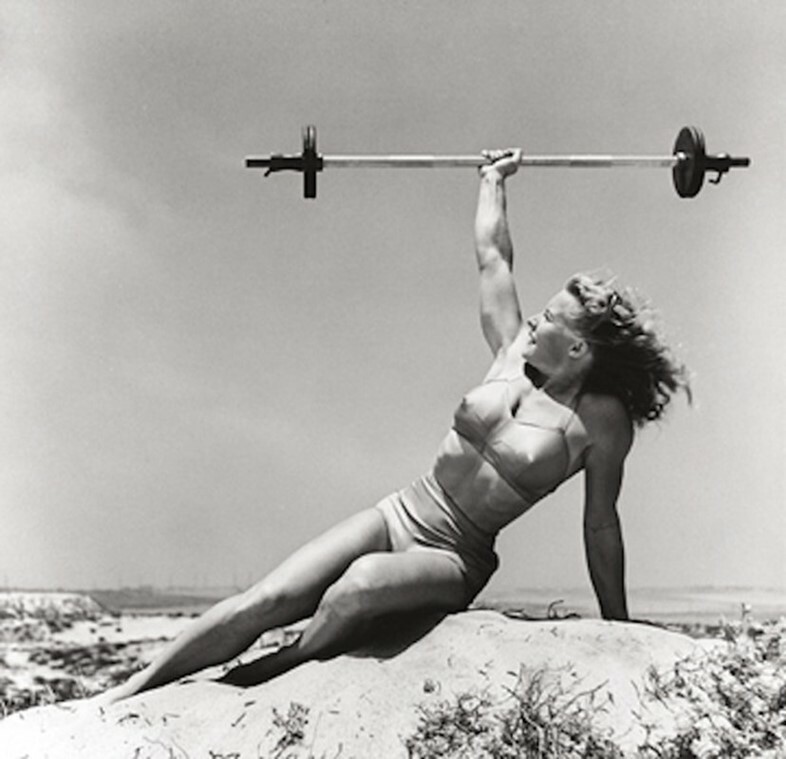 Five-foot-1, 115-pound blonde Abbye "Pudgy" Evile Stockton was an American professional strongwoman who became renowned through her involvement with Santa Monica's infamous Muscle Beach in the 1940s. She passed away, aged 88, in 2006. What? Having started her working life as a telephone operator, Stockton first began a relationship with weights after being given a pair of dumbbells by her would-be husband, Les Stockton. As part of an new exercise regime, she also began calisthenics, and teaching herself different moves such as a handstand. The couple were regular visitors to Muscle Beach where they practiced acrobatics and gymnastics together and quickly began to draw crowds, resulting in the erection of an elevated outdoor platform in their honour. One of their most famous feats involved Stockton serving as the "understander", supporting Les over her head in a hand to hand stand. "People used to say that if women worked out, they would become masculine-looking or wouldn't be able to get pregnant. We just laughed because we knew they were wrong"
Stockton was known for her signature two-piece suit which consisted of high waisted shorts and a bra top, inspired by a design her mother had created from a bra top and men’s swim trunks. It was rare to see a woman in anything but a one-piece during this time, but Stockton felt the one-piece limited the appearance of her muscular physique and confined her movement during her performances. Why? On #AnOtherSportsDay, it's a fine time to think about inspirational sportsmen and women. Stockton was a tremendous influence on women’s weightlifting, and exercise in general. "In those days, lifting weights was considered unfeminine," she told Sports Illustrated Women in 2002. "People used to say that if women worked out, they would become masculine-looking or wouldn't be able to get pregnant. We just laughed because we knew they were wrong." Stockton featured in countless campaigns and magazine covers, opened gyms, wrote a regular column on women's training for influential fitness magazine Strength & Health and even trained Marilyn Monroe, resulting in a succession of sports-themed photo shoots for the Hollywood star. 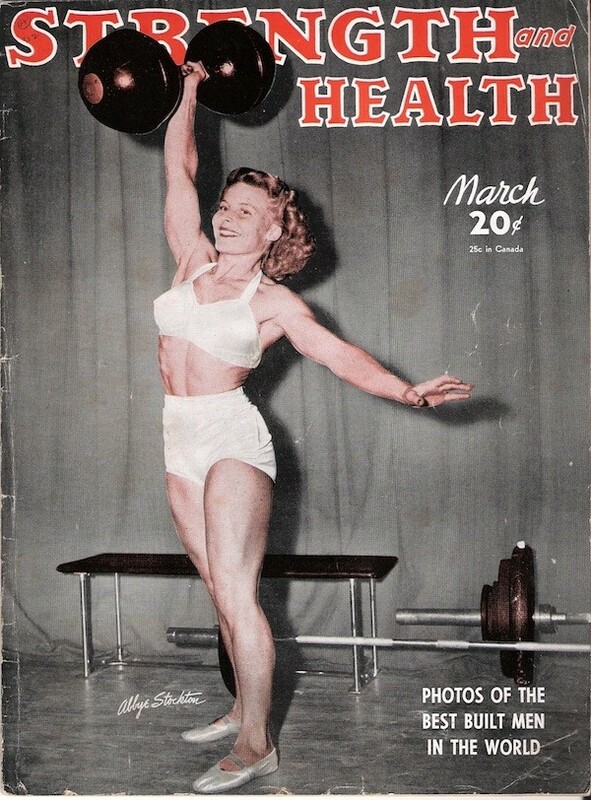 She is also credited with organising the first sanctioned weightlifting contests for women in 1947 in Los Angeles and acquired the title of Miss Physical Culture Venus, a rare honor in an age where women’s “physique contests” barely existed.